Mix and make your own healthy smoothies. Learn the basics here, step-by-step. A smoothie is a drink, resembling milkshakes, with a thick consistency, made from blended natural ingredients, usually with frozen fruits or fresh fruits with ice. Natural flavors are added for taste and health reasons. Smoothies are easy to make, but it requires a bit of preparation and planning beforehand. In my home, smoothies are a treat during the weekends, because of the amount of preparation involved. 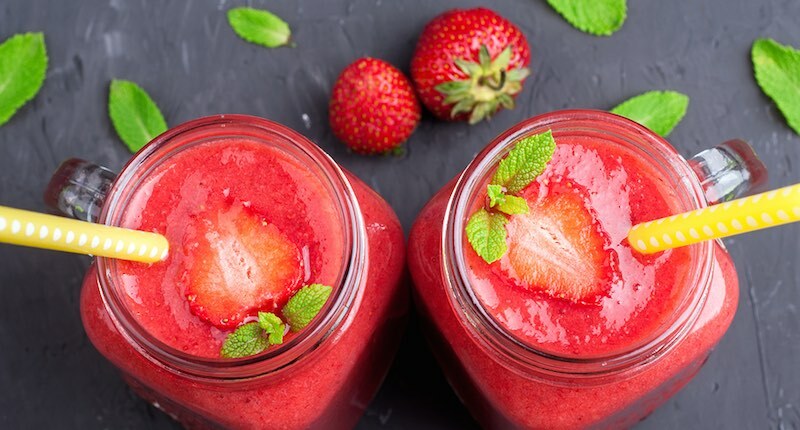 The smoothie-making I’m about to share with you are healthful ones, so pay attention as I will be sharing with you many important tips to make a big glass of healthful smoothies that would leave you and your family craving for more. Three types of kitchen appliances may be used to make smoothies: a blender, a food processor or more specifically, a new introduction in the market—a smoothie maker. If you have both a blender and a food processor, try out both to see which one makes a better smoothie. If you have neither and would like to purchase one, get a smoothie maker. You will be pleased with the result that you achieve with a smoothie maker. A food processor usually costs more. What to look for when buying a blender. Fruits at room temperature and blend with ice or frozen yogurt (or any other frozen ingredient). Using either method is a matter of preference as frozen fruits tend to make the smoothies thicker, and the cold last longer. This is perfect for hot sunny days. But on cold, rainy days, the other method may be preferred. Whatever fruits you choose to use to make your smoothies, peel the skin, and remove the seeds, or choose the seedless variety. and leave in the freezer for about an hour for it to freeze. This is to prevent the fruits clumping together. Once frozen you can put them all into a container or a freezer bag. Try not to use fruits left in the freezer for more than a week. Or … leave the fruits in the freezer for about 20-30 minutes. It will just be slightly chilled and frozen, easier for making smoothies. You can also use dried fruits like raisins, dates or apricot slices. Soak them in pure drinking water overnight to soften. Besides adding flavor to your smoothies, they are also a good source of trace minerals and fiber. Your smoothie can be as healthy as you want it to be. It is a matter of choosing your ingredients wisely. For example, ice-cream may taste great, but it also contains harmful fats and empty sugar. Always try to use whole, natural ingredients whenever possible. There are many options you can use for your smoothies’ liquid base. Here are only some of it. You are only limited by your own imagination. Experiment! Water: If you are using only frozen fruits for your smoothie, use filtered drinking water as the liquid base to dilute the sweetness. Milk: I’m not a big fan of cow’s milk but if you prefer to use milk, then try to go for organic milk from grass-fed cows instead. Fresh goat’s milk: Goat’s milk may cost more than cow’s milk but is a healthier option. Use it fresh without boiling. Goat’s milk is highly digestible, and does not affect people who are lactose intolerant. Whole soy milk: The benefits of soy milk is controversial. I believe drinking in small amounts are fine, but drinking it daily is quite another thing. Yogurt: Most people who are lactose intolerant are able to stomach yogurt, the healthier option to be included into your smoothie. Choose unpasteurized and plain (unflavored) yogurt for optimum health benefit. You may also use frozen yogurt to be blended with your room-temperature ingredients. Make your own yogurt. Nut or seed milk: You can purchase these from your local health food stores or learn how to make your own almond milk. Fruit or vegetable juice: Juice your fruit/vegetable separately. For example, juice apples if this is NOT the main ingredient in your smoothie. I like to use young coconut juice (NOT coconut milk) as it is easily available in my country, and not so sweet. It helps dilute the sweetness of the other fruits ingredient in my smoothies. Green tea: This is wonderful for its anti-oxidant properties. You can purchase green tea leaves/sachets/powder from your local supermarket. Steep the leaves/sachets in boiled water for about 4 to 5 minutes, strain the leaves and leave it to cool before using for your smoothie. There are many natural flavorings you can add to your smoothie to give it that extra kick. When your main ingredients are mainly vegetable base, you may want to sweeten it up a little to make it more palatable. Use natural sweeteners like dates, raisins, fruit juice concentrate, raw honey, maple syrup, molasses, etc. Fresh ginger juice (use only 1 teaspoon at anytime) gives your smoothie the added spice and powerful anti-oxidants. Some examples of the extra flavorings you may want to add to your smoothies: ground cinnamon, cocoa powder, grated coconut, coffee powder, half a lemon or lime, mint syrup, ground nutmeg, vanilla extract, etc. Be adventurous! Smoothies are not necessarily limited to fruits, vegetables and juices. You may also add other healthful ingredients. With these, they really may make up for a substitute meal. You would be feeling full with the added fiber, complex carbohydrates, healthy monounsaturated fats and fat-soluble vitamins. And most importantly, they are delicious and guilt-free!! Cooked brown rice or unpolished rice: You can purchase brown or unpolished rice (more fibrous and less starchy) from your local health food store. Cook it and leave to cool before use. Oats: Oats have a higher level of soluble fiber and are helpful in lowering cholesterol level. Eaten on its own, oats may taste rather bland, so add it to your smoothie. Let it stand in hot boiled water and leave to cool before use. Peanut butter: With its high levels of monounsaturated fats, peanut butter provides protection against heart diseases. When buying peanut butter, check that the ingredients do not contain hydrogenated vegetable oils which are rich in trans-fatty acids. Add peanut butter to the kids’ smoothies recipes, they will love it! 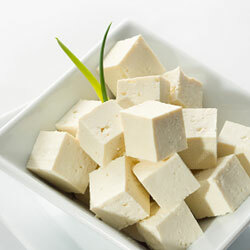 Tofu (soft or silken): Tofu is a good source of protein. It is tasteless, but adds a rich creamy texture to your smoothies. Sesame seeds: The nutrients in sesame seeds are better absorbed when ground. However, it can also be eaten as it is. 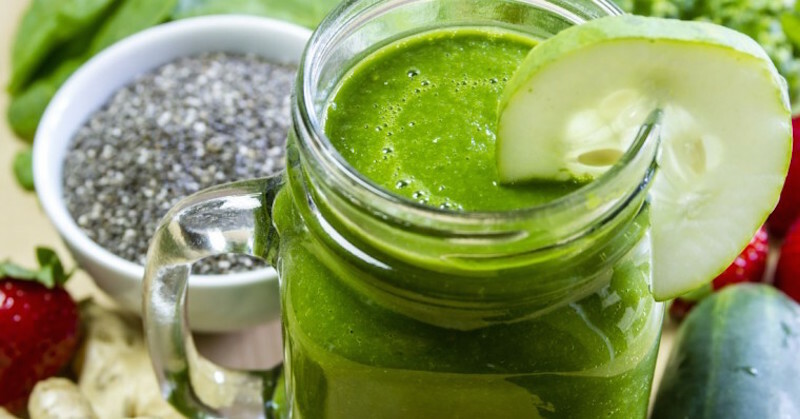 Add some sesame seeds into your smoothies for its anti-oxidant properties. Any kind of nuts: Finely grind any kind of nuts (almonds, cashew nuts, hazelnuts, peanuts, pecans, etc.) to be added to your smoothies for the thick smooth taste and health properties only nuts provide. 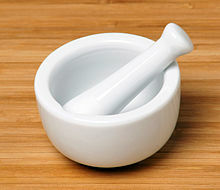 I usually pound all my tablet supplements with a mini mortar and pestle, to be added to my smoothies or juices. Pound supplements when mixed and taken all in, are easily assimilated by the body, and provide a powerful synergistic effect on the nutrients that do wonders to the body. If you want to do this, do not pour the powdered supplements into the blender container, but only mix into your glass after the end-result is poured out. Stir and drink. This is to avoid your precious supplement being left behind in the container after your smoothie is poured out. Consider taking your supplements this way to optimize the full benefit of the nutrients you are taking. Pound your regular supplements and pour into your finished smoothies. Here’s a list of examples of other powdered supplements which you may add to your healthful smoothies (these are blended together with your other ingredients). Read the label for dosage. Eat/drink your smoothies within 10 minutes of making them to take full advantage of the nutrients before they oxidize and turn your smoothie brown. I do not recommend storing smoothies after it has gone through the blender as once the fruits/vegetables are cut up in the blender, the nutrients and live enzymes will deteriorate rapidly.